Got this email from William this weekend. Scroll down and check out the screenshots. My Linkedin Course (http://chaddo.com/linkedin ) got him these results. DISCLAIMER: He got these results from “casual use” of my program. He didn’t even apply all of what I teach! 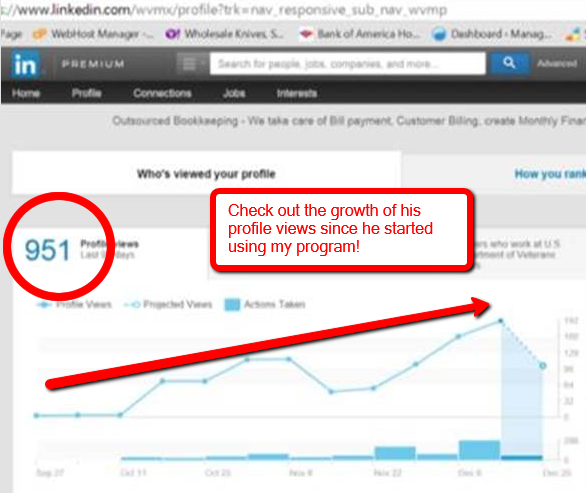 Imagine what you could do if you got my Linkedin course and applied all of it? Chad, Have I told you lately I Love You!? An update with casual use of the program: It’s been a TOTAL GAME CHANGER for me professionally. The QUALITY of my connections are off the charts. So targeted that now unviewed profiles are asking to connect to me who are exactly they type of professionals I want to connect. Posted under Linkedin. You can feed this entry.